THREE-WEEK TRIP AROUND NORTH & SOUTH ISLANDS – LEAVING CHRISTCHURCH A.S.A.P. 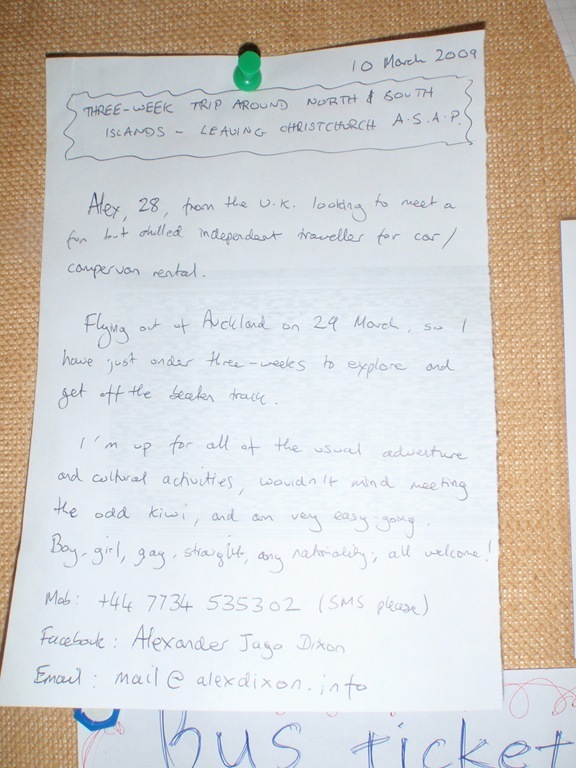 Alex, 28, from the UK, looking to meet a fun but chilled independent traveller for car / campervan rental. Flying out of Auckland on 29 March, so I have just under three weeks to explore and get off the beaten track. I’m up for all of the usual adventure and cultural activities, wouldn’t mind meeting the odd Kiwi, and am very easy-going. Boy, girl, gay, straight, any nationality, all welcome!